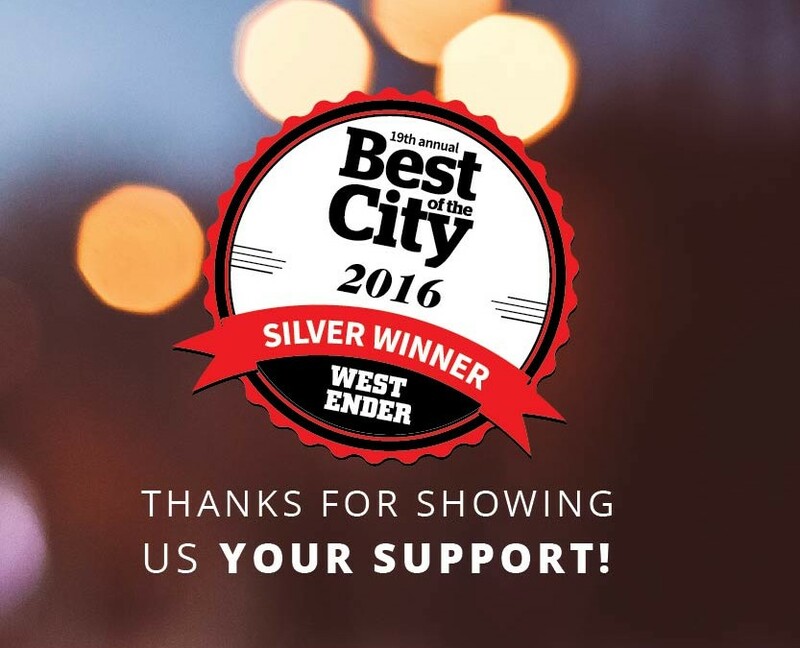 We are so happy to announce that we have won the silver award for Westender’s 2016 Best of the City in the Best Dental Clinic Category! This award is a major accomplishment for our team at La Vita Dental Centre, and we could not have gotten to this point without the love and support from our loyal Kitsilano patients. Here is a short video message from Dr. Kian. Check it out! At La Vita Dental Centre, we always strive to be the very best. Whether it’s general, family, cosmetic, or restorative dentistry services, we aim to give our patients the absolute best experience from the moment they walk through our door. Our hospitable staff, combined with our skilled dental professionals, allows us to cater to each individual’s unique needs and offer the most comprehensive care to patients of all ages. We are more than just a dental practice; we love being a part of the Kits community. We are so happy that you think of us as one of the best dental practices in Vancouver! Continue to think of us every time you laugh over drinks with your friends, smile and blush on a first date, and show off your confident smile for the world to see. We’ll always have your back when it comes to your oral health. Thank you to everyone who voted for La Vita Dental Centre in the Westender 2016 Best of the City Awards – your support is the reason why we strive to be better and better every day! To schedule an appointment with Dr.Kian at La Vita Dental Centre’s Kitsilano practice, call us today at (604) 738-2259. Check our video of our appreciation for your continued support. Visit our other award winning practice, Arbutus North Dental at www.smilevancouver.ca.